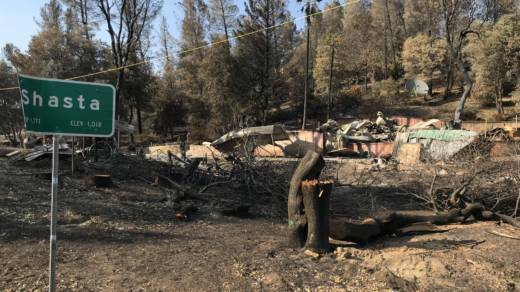 In Redding, where the Carr Fire burned more than 200,000 acres and destroyed more than a thousand homes, there's a feeling of desperation. Something has to be done to clear the dense stands of trees and thick brush in the mountains around town, or the next fire will be even worse. This is a decades-old debate in the West and by no means a new GOP talking point. But out on the ground, foresters and even some timder industry leaders say what's really needed to mitigate the wildfire threat is a lot more involved — and expensive.